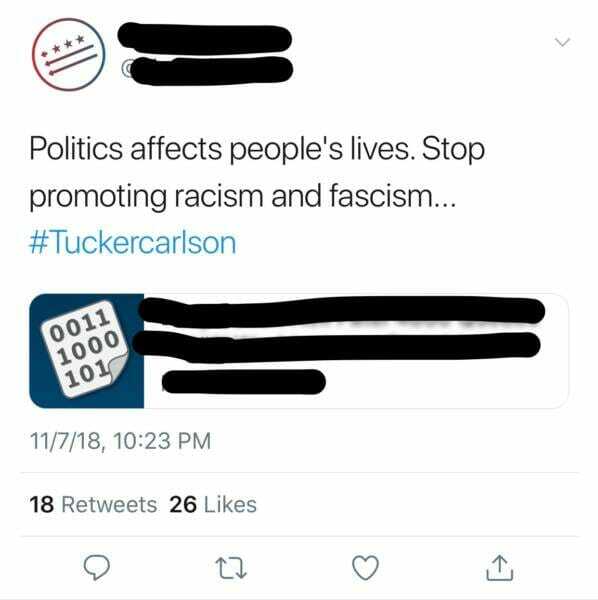 Hours after an Antifa mob showed up at the home of Fox News host Tucker Carlson, an affiliated Twitter account published his home address and the home address of his brother Buckley Carlson — along with the addresses of Ann Coulter, Daily Caller's Neil Patel, and Sean Hannity. We will not be naming the account or linking to it — but it has not been removed by Twitter at the time of writing this. The account has over 3,000 followers. The dox of right wing media figures was posted along with a message asserting that "politics affects people's lives." They demanded that the people they are harassing "stop promoting racism and fascism." 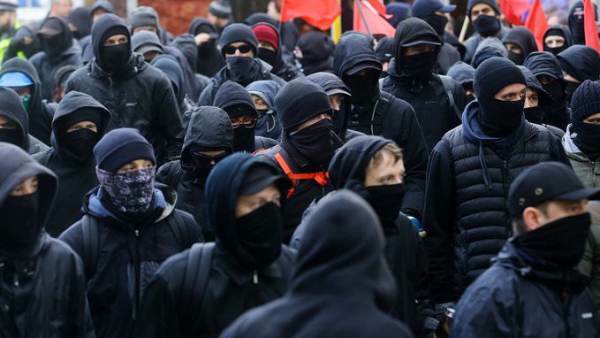 Approximately an hour before Carlson's Fox News show aired on Wednesday evening, a leftist mob showed up at his home chanting threats such as, "Tucker Carlson we will fight, we know where you sleep at night!"